But in general, the top five is reasonably respectable. So many high quality games saw a release in March- but the frontrunners in terms of commercial performance were expected to be Horizon: Zero Dawn, and The Legend of Zelda: Breath of the Wild. 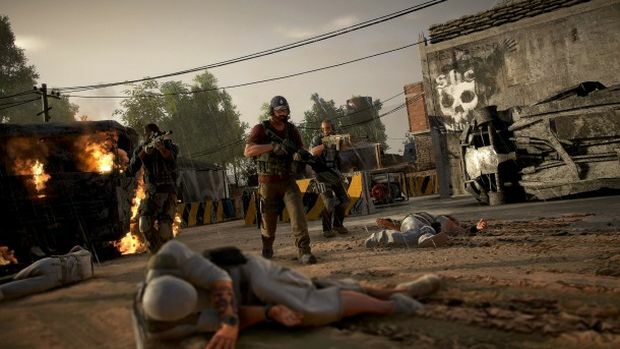 they both got showed up by Ghost Recon: Wildlands, the new open world entry in Ubisoft’s long running franchise, which, in the UK, was the highest selling game for the month of March. This should not be too surprising- after all, we’ve been seeing Wildlands top charts (or be very near the top) consistently since its release. Wildlands came in ahead of PS4 exclusive Horizon, which came in at second place. The Legend of Zelda: Breath of the Wild followed in third place- which, seeing how limited Switch stock was, and how few Wii U consoles have sold, is truly impressive. Mass Effect Andromeda was in fourth place- but again, it needs to be remembered that it only launched on March 23 (in the UK), so it was selling at a disadvantage from the get go. LEGO Worlds rounds out the top five. I suppose the good news here is that this top five is all mostly quality, and all good games- plus obviously, all of these games sold reasonably well, so I suppose there isn’t much to complain about (though I naturally disagree with the order). Good going, UK.